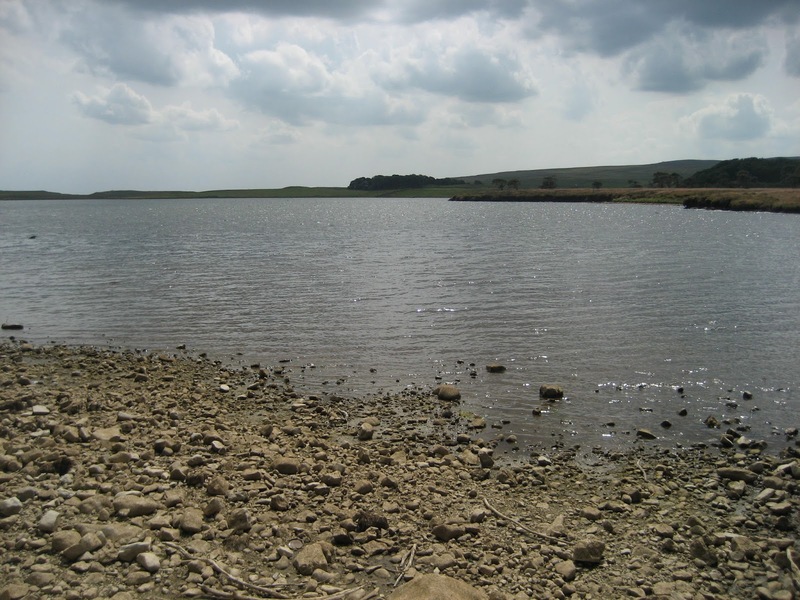 The North Craven Fault is the longest member of the Craven Fault Zone, extending from Kirkby Lonsdale to as far east as Pateley Bridge in Nidderdale. 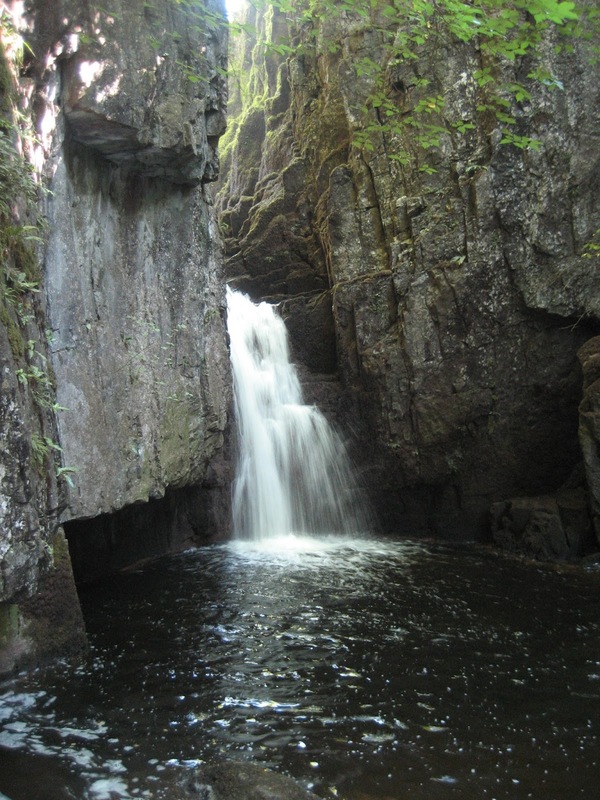 It has the lowest ‘downthrow’ of the three main faults – about 200 metres, (600 feet) though in the Ingleborough area it is still responsible for several unforgettable landscape features. The massive raised buttress of Great Scar Limestone making up Twisleton Scar End formerly stretched all the way to the fault line below Pecca Falls, but it has since been worn away by glacial action, leaving the basement slates and greywackes exposed for the Twiss and Doe to play havoc with. 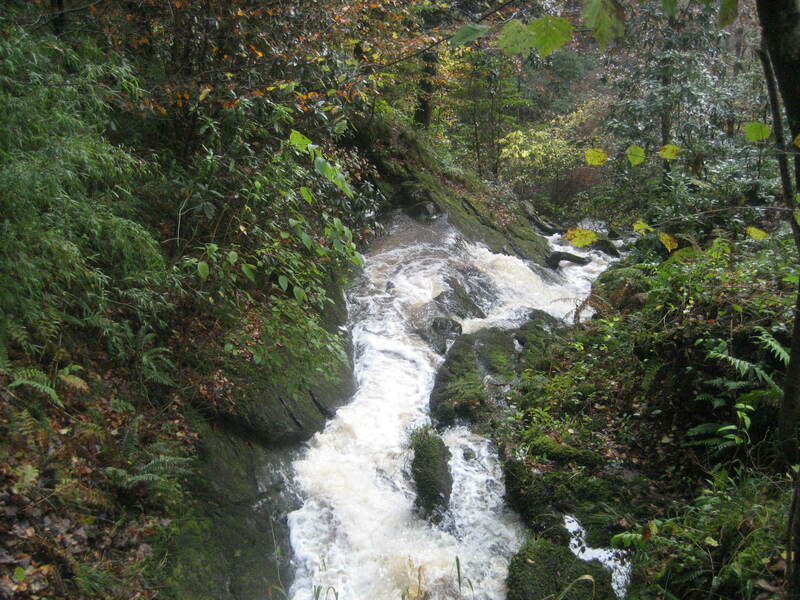 As a result of the massive earth movements, the limestone in Swilla Glen, south of the fault line, lies about 200 metres beneath that of Twisleton Scars. Effectively, this limestone is a massive slab wedged between the North and South Craven Faults, and much of it has been exploited for quarrying. It also follows a major anticline in the basement rocks so its beds can be seen dipping steeply – like the crest of a rocky wave. The actual line of the North Craven Fault is hidden in the trees on the west bank of the Twiss below Pecca Falls, but a nearby small branch fault clearly shows the downthrown Great Scar Limestone to the south, separated from more ancient Ordovician muddy limestones which have been lifted upwards along the fault line. 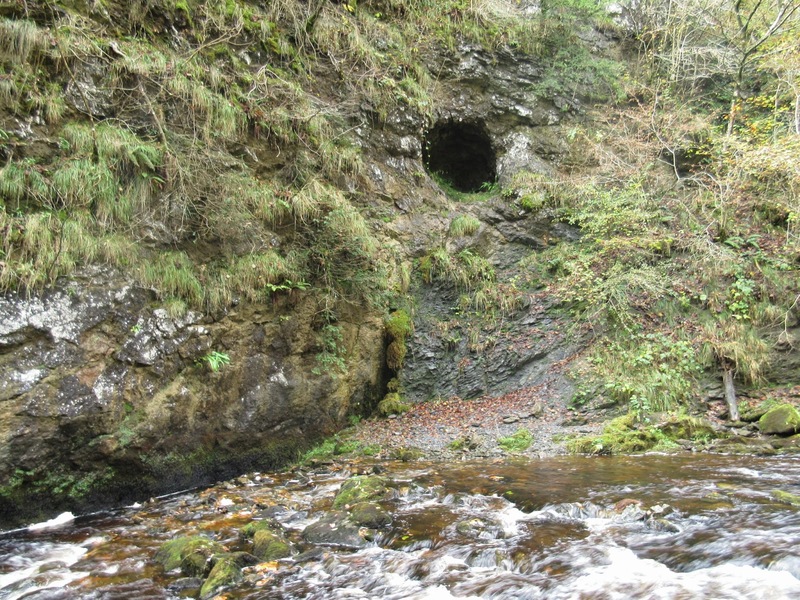 This feature is easily picked out below a small cave which was a failed attempt to extract lead. Moving east, the fault crosses just to the north of Ingleton and continues its south-eastern trend toward Clapham. At SD709729 Jenkin Beck cuts through the base of the ‘upfaulted’ Great Scar Limestone which has mostly been trimmed away by glaciers at this point and has its remains covered by a layer of till. 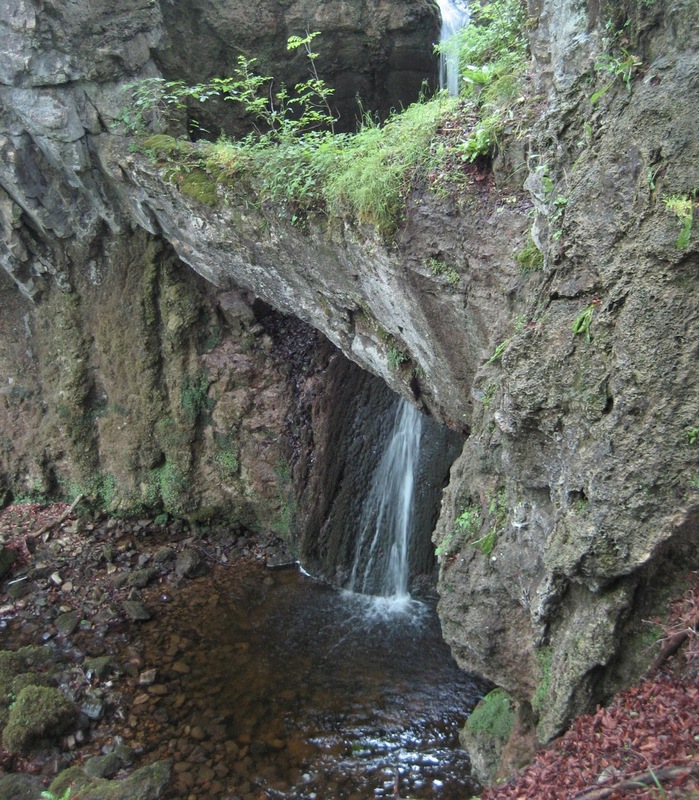 The limestone ‘peeping out’ has been cut through by the beck in a spectacular natural arch to form Ease Gill Force. 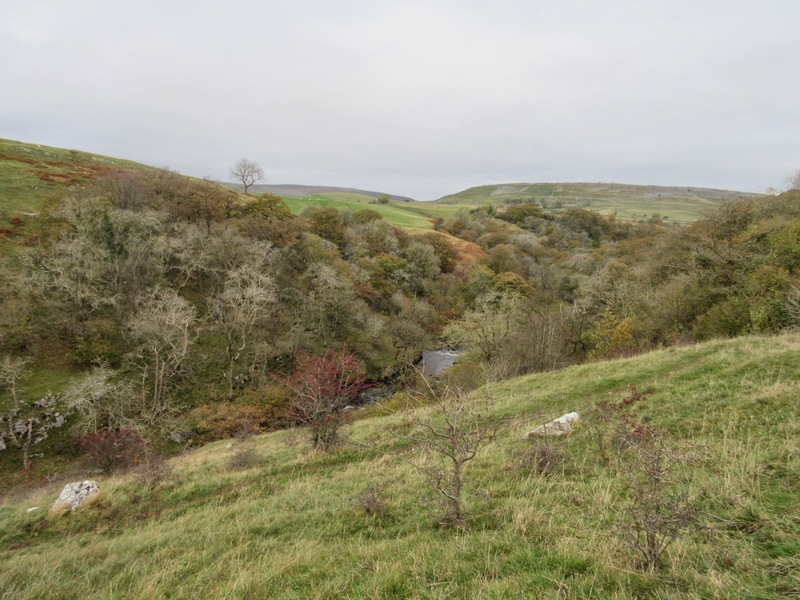 Above Clapham, the North Craven Fault is crossed beyond ‘The Lake’ where Cat Hole Syke is a normally dry resurgence channel on ancient slates, brought to the surface by the fault – their covering rocks long since removed by glacial action. 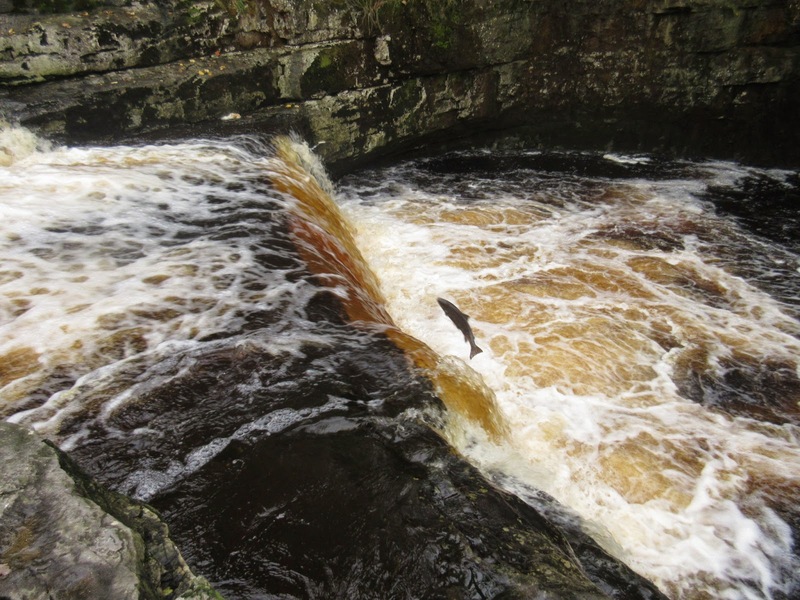 The North Craven Fault is also responsible for the waterfalls of Stainforth Force (SD818673), Catrigg Force (SD833672), and for bringing the impermeable slates to the surface to form the bed of Malham Tarn. All together then, this major fracture has much to recommend it for its creative effect on the Dales landscape as the following photographs show.